- WWE posted a new Triple H/Michael Cole interview that was recorded on Friday at the NXT Arena on the campus of Full Sail University in Winter Park, Florida. In it, Hunter declared NXT as its own brand and compared it to ECW when the war between the WWF and WCW was ongoing. When Cole asked where does it go, Triple H said he wants to see NXT become WCW minus the going out of business part. - Dolph Ziggler and R-Ziggler comment on their win in the latest episode of Smackdown Fallout. You can watch at this link. - The card for WWE Night of Champions has taken shape with eight matches now announced. In addition to every main roster title being defended, there will be three singles matches that do not include titles. WWE Night of Champions 2014 will take place Sunday, September 21, 2014 from the Bridgestone Arena in Nashville, Tennessee. We&apos;ll have complete live coverage here at WrestlingNewsWorld.com. - The Rock is very much in play for Wrestlemania 31 next year, however, he&apos;s not yet confirmed. Rock stated over the summer he has a verbal agreement with WWE for more match. - Jake "The Snake" Roberts provided a direct update on his health Saturday on Twitter. Roberts noted that he will require a biopsy on his lungs and another area. Two of his daughters were in town for the weekend. He noted the that pneumonia did some "serious damage." Further, Roberts really put over WWE for their help in the situation. He stated they made sure he had the best medical care and his family to support him. The Big Guy had surgery last month due to a strained groin and two sports hernias. He&apos;d apparently been working that with for around 7 months. - A bonus clip from this week&apos;s episode of Total Divas is online at this link. 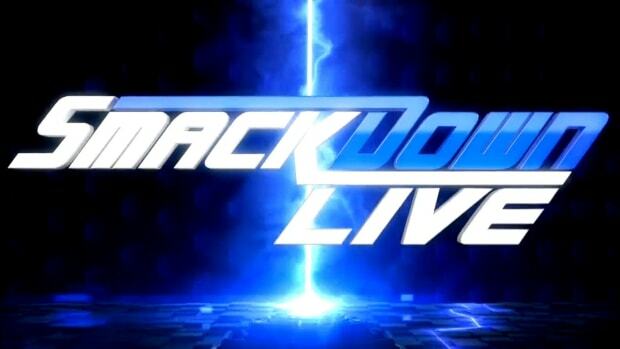 - Last week&apos;s episode of Smackdown did an average viewing audience of 2,821,000 viewers on SyFy, which is a great sign for WWE. Viewership has increased three weeks straight heading into the fall season. TV by the Numbers has data for the top 100 cable shows among adults 25-54 for all of Friday at this link. - WWE announced on Monday Night Raw that there will be a one-hour Night of Champions Pre-Show this Sunday starting at 7 PM EDT. Christian will be hosting The Peep Show with Chris Jericho as his special guest. - After this week&apos;s episode of WWE Monday Night Raw went off the air, Big Show and Mark Henry teamed with John Cena to face The Wyatt Family in a dark match main event. The babyfaces went over, with Cena hitting the Attitude Adjustment on Erick Rowan before getting the pinfall victory. - For those that missed this week&apos;s Raw, John Cena kept telling Paul Heyman if Brock Lesnar wasn&apos;t there "at halftime" that he was going to beat him up. Michael Cole even repeated the halftime line on announce. While they claimed to be referring to "halftime" of Raw, this was actually WWE&apos;s attempt to draw viewers away from Monday Night Football during halftime of the Eagles/Colts game on ESPN. The game went to the half one minute before the segment featuring Cena, Heyman and Brock Lesnar began. - What will happen when Natalya and Summer Rae travel together? Watch a new Total Divas preview clip at this link. - Christian will return to WWE at Sunday&apos;s Night of Champions pay-per-view. As CJ noted here at WrestlingNewsWorld.com, he&apos;ll host The Peep Show with Chris Jericho as his guest on the one hour Night of Champions Kickoff. - There is a rumor circulating in the international press that former German goalkeeper Tim Wiese has been offered a WWE contract. Santino seemingly announced his retirement from the ring at WWE&apos;s July 6, 2014 live event in Toronto, Ontario, Canada due to neck issues. Dot com stopped short of that, calling it a “career-related announcement. Last month, Brooks covered the possibility of Santino coming back following neck fusion surgery. I assume that was the procedure done on Wednesday, however, cannot confirm 100% at press time. Backstage news from Monday Night Raw in Lafayette, LA… - There continues to be a lot of discussion about what to do with Brock Lesnar. While almost everyone has him holding the WWE World Heavyweight Championship until Wrestlemania, there have been more than a few people that have voiced their concern. These people believe a part-time champion isn&apos;t working and point to WWE already having to add extra dates to his contract at a premium price just to keep him on television. Further, they don&apos;t have anyone for him to work after John Cena. - Some feel the best course of action at Night of Champions would be for Cena to go over Lesnar and then for Seth Rollins to cash in. That scenario is met with equal criticism, with critics thinking it would be downright foolish to take the belt off Lesnar so soon after creating their first legitimate monster in many years. - Cody Rhodes tweaked his ankle on Raw but it wasn&apos;t serious and he worked Tuesday. - The stuff between Bray Wyatt and Big Show was "thrown together" because WWE doesn&apos;t have anything for either guy. There is developing concern that Bray is lost in the shuffle and they&apos;re going to have to do something about it. At this point, a babyface turn isn&apos;t out of the question. - While Triple H continues to tease NXT as its own brand capable of being the next WCW, I&apos;m told a lot of the company&apos;s top developmental prospects could be called up sooner rather than later. That includes Hideo Itami and Prince Devitt. - Dot com has a new feature article online where Sami Zayn, Hideo Itami, Adrian Neville, Fergal Devitt and Kevin Steen talk about their generation. The article starts by mentioning a Tweet sent out earlier last month by Zayn before they began answering questions. Unseen footage of the brawl between WWE World Heavyweight Champion Brock Lesnar and John Cena from this week&apos;s Raw in Lafayette, LA is available at this link. Natalya, William Regal and more get ready for Night of Champions in the latest episode of WWE Inbox. Click here to watch it. Sasha Banks "sends a message" to NXT Women&apos;s Champion Charlotte in a new video blog at this link. - We recapped a dot com article earlier on Thursday where Sami Zayn, Hideo Itami, Adrian Neville and Kevin Steen talked about being the leaders of their generation. There were a lot of great lines in the piece but there&apos;s one I thought that I would highlight. It came when Itami talked about his desire to leave Japan for WWE. - Danan Davis, the senior producer at Cat Daddy Games, participated in an Ask Me Anything session on Reddit today, answering questions about WWE SuperCard. Click here to read. - WWE has uploaded a movie trailer for WWE Night of Champions, available at this link. - Hideo Itami, formerly known as KENTA, made his made his in-ring debut on NXT this week, competing against Justin Gabriel. Highlights from the match are available at this link. Next week&apos;s WWE Raw will emanate from the FedExForum in Memphis, TN. Make plans to join our Raw "Open Thread" on Monday night starting at 7:00 PM EDT for streaming live results and your discussion here at WrestlingNewsWorld.com. Richard Reacts: When I first read this, the dot com piece with Sami Zayn, Hideo Itami, Adrian Neville, Fergal Devitt and Kevin Steenspeaking as the leaders of their generation immediately came to mind. 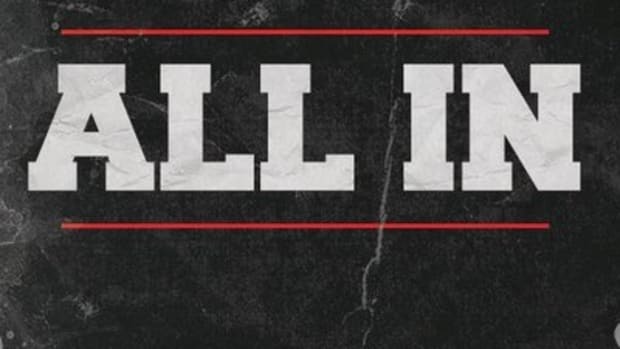 This could indicate a number of things - will WWE put more NXT names on Raw or will there be multiple call ups from NXT? We&apos;ve heard the company is anxious to bring up some new names in hopes of getting started on building new main roster stars. Time will tell but this is certainly worth noting. McClain&apos;s latest matches with NXT can be tracked at this link. - Jim Ross was rumored to be joining Lucha Underground as an announcer, however, the speculation was he was too closely associated with WWE for their liking. That&apos;s not true. It came down to money and they weren&apos;t willing to spend big money on an announcer. We&apos;re told much of the budget for Lucha Underground has been focused on production and they weren&apos;t going to spend big money on an announcer. As it is, most of the wrestlers were being lowballed money wise, which is why so money guys turned down doing the tapings. - The weekend is here, which could only mean one thing. The JBL (not Cole) Show. You can watch this week&apos;s episode at this link. Brie and Daniel Bryan are in danger of losing their wrestling careers; Nikki is put in a tough spot with John; Rosa fails miserably at making peace between two enemies; and the wedding standoff between Eva&apos;s father and husband comes to a head. - Havok beat Gail Kim to win the TNA Knockouts Championship in a match that will air on the October 1, 2014 episode of Impact. It&apos;s worth nothing that Havok was working without a contract as TNA wasn&apos;t looking to sign anyone until they got television sorted. I haven&apos;t heard if that changed but she was put over for the Knockouts title. - Bully Ray, whose TNA future remains in question, worked the tapings. - Davey Richards, who broke his leg last month, was at the tapings. We&apos;ll have complete taping results online shortly at WrestlingNewsWorld.com. - I was told on Monday that Havok had not signed a contract with TNA Wrestling, despite her strong push on television. That push got even stronger on Tuesday night as you can read what happened at this link. I don&apos;t know if her status changed between Monday and Tuesday but I was assured she&apos;ll be offered a contract as soon as TNA&apos;s TV situation is settled. - We are able to confirm that Bully Ray has verbally agreed to stay with TNA until the end of the year. Ray was offered "decent money" per date to make sure he didn&apos;t leave right in the middle of being featured on television as one of the top guys. - Speaking of TNA&apos;s uncertain future on TV, we don&apos;t have a notable update. They remain engaged with a few networks but nobody has offered anything close to what Spike TV was paying. If TNA loses Spike as currently expected, it&apos;s going to be "some lean times" regardless of how things play out. - This week&apos;s episode of Impact Wrestling garnered an average viewing audience of 1,110,000 viewers on Spike TV. The show was up 61,000 viewers from the week prior. TV by the Numbers has data for the top 100 cable programs among adults 18-49 for all of Wednesday at this link. How realistic is Triple H&apos;s vision of NXT becoming like WCW? Would a potential superstar be willing to sign with NXT if they thought they had no reasonable chance of being called up no matter how hard they worked? How does the pay for a top NXT guy, like Sami Zayn for example, compare to a low end WWE guy, like Heath Slater? Triple H comparing NXT to ECW of old and saying he hopes to see it become like WCW, minus the whole going out of business part isn&apos;t necessarily a new idea. This is the reason for the brand extension and why WWE worked so hard to create Raw vs. Smackdown for years. The idea was because they didn&apos;t have any competition, they would create their own. It got to the point where their talent roster was too thin to sustain two distinct brands and they reverted back to Smackdown being secondary to Raw, as opposed to treating them both as equals. I believe making NXT its own brand isn&apos;t a bad idea and could actually work better than Raw vs. Smackdown because there is a clear distinction from NXT to main roster programming. The product is geared towards older and "smarter" fans and focuses on well worked athletic matches, as opposed to the storylines. The IWC loves NXT because it&apos;s what many of us want to see more of on Raw and Smackdown; athletic pro wrestling matches that are entertaining, rather than lame contrived storylines (think Jerry Springer and The Bella Twins). As for stars signing for the sole purpose of being utilized on NXT, I don&apos;t see why they wouldn&apos;t. There is no other option to work in the mainstream and while they would have to sign a developmental deal with a downside around $30,000/year, the upside is enormous. I don&apos;t know how much money Heath Slater makes but traditionally, lower-card workers don&apos;t have downsides much more than a developmental worker. However, they still collect their $500 when booked on shows. WWE obviously does a lot of good work with Susan G Komen, Make-A-Wish, Be a STAR, etc. How do you feel about Triple H&apos;s public support of a controversial figure like Floyd Mayweather? WWE is a publicly traded company and they do things for charity and public awareness that reflect their corporate values. While we can all point to areas where they hypocritical, WWE should be commended for what they do with the efforts you mentioned. Not only that but there are others. As for Triple H embracing a controversial name like Mayweather, I don&apos;t have a problem with it. While I obviously don&apos;t condone domestic abuse (a charge Mayweather was jailed on), Triple H has the right to be friends with who he wants. WWE has made a killing off bringing in controversial figures, remember Mike Tyson? Let&apos;s also remember there are plenty of controversial workers within WWE. Steve Austin pled no contest to domestic abuse charges in 2002 that were brought on by his ex-wife Debra Marshall. Usually when a top name in WWE leaves the company for personal reasons (Kurt Angle, Bobby Lashley, Hulk Hogan, Jeff Hardy, etc), we see them go to TNA Wrestling and become "their star". I hope this don&apos;t happen but do you see CM Punk possibly going to TNA in the near future because of his personal issue with WWE? Many workers that defected from WWE to TNA Wrestling did so in order to cash in on their name value while working a lighter schedule. There were different circumstances regarding each name that you mentioned but TNA had the help of Spike TV to bring in big names in hopes of challenging WWE. The experiment didn&apos;t work and TNA has been scaling back for over a year. Yes, they still employ Lashley, Hardy and Angle but TNA is no longer a viable option for most people that leave WWE unless they&apos;re willing to take significantly less to do so. Remember, some of these bigger names were actually paid by Spike TV, who is now looking to move on from TNA. I&apos;m always baffled at the sharp criticism Spike gets from TNA fans. While Spike could have done more in terms of promotion, they could have done a heck of a lot less too. In addition to paying the company a reasonable sum for their rights, they also paid big talent contracts. The CM Punk to TNA stuff is ridiculous. Punk is "over" the wrestling business and is looking to move on with his life. Even if he wanted to wrestle, which by all indications he doesn&apos;t, he would be much better suited in making WWE pony up 7 figures to bring him back or going the international route like AJ Styles did. November 2012 With Ryback basically losing again where does WWE go from here? - WWE is in a world of trouble with Ryback following what was essentially a loss at Survivor Series. Let me be clear. I’m excited to see Dean Ambrose and Seth Rollins get called up to the main WWE roster but I hate how Ryback was booked at both Hell in a Cell and Survivor Series. The premise for Ryback’s character is that he is the “unstoppable monster” that needs to be “fed more.” As soon as he’s “fed,” he can’t handle it. Some people are taking this as me being high up on Ryback over the IWC darlings, which is unfounded. I’d be fine with guys like Punk, Daniel Bryan, Cesaro, etc. running the company without guys like Ryback being in the main event picture. However, now that Ryback has been chosen for a push they have to push him. The blatant lack of confidence in putting him over compounded with the holding pattern they are in with Punk for Royal Rumble is making for intolerable booking. Either push him or don’t book him in the main event. At this point Ryback means nothing more than a mid-card talent and he’s lost a significant amount of steam. Do you like the new R-Ziggler tag team? The pairing of Dolph Ziggler and R-Truth is just another midcard gimmick. I don&apos;t hate it but I don&apos;t love it. It&apos;s a way to get them on television together, nothing more and nothing less. The same can be said for The Miz and Damien Sandow. It&apos;s not like WWE has finally found a way to restart on these names, it&apos;s just "something" for them to fill programming. What do you think about WWE letting Dean Ambrose have Jon Moxley as an alter ego (think Mick Foley as Cactus Jack) to further his unstable gimmick? I don&apos;t think it&apos;s necessary and feel it would be more confusing than anything else. Let&apos;s also remember that Vince McMahon is hell-bent on creating his own talent, overlooking past accomplishments and rebranding workers with WWE names (KENTA becoming Hideo Itami shows that no one is safe). I also want to note that Foley began using the multiple gimmicks after he had successfully established Cactus Jack and Mankind. Ambrose was successful as Moxley on the independents but not to the level Mick was as Cactus Jack. Will Mickie James resume her pro wrestling career after she gives birth? Mickie James is scheduled to give birth later this month. I don&apos;t know what her future holds as a pro wrestler. Late last year, Mickie was a guest trainer at the WWE Performance Center where she worked with some of the company&apos;s developmental talent. She talked about the experience here on dot com. The Baltimore Sun interviewed her back in February, when she was still wrestling on the indies. She planned at that point to continuing to pursue a career in music, while also wrestling. You can read that interview at this link. Do you see WWE featuring more NXT talent on pay-per-views, even if just on the pre-show? I thought what WWE did on Raw last week (Adrian Neville & Sami Zayn vs. Tyler Breeze & Tyson Kidd) was good as they were clearly using the show to promote NXT Takeover: Fatal 4-Way. WWE routinely features NXT talent on main roster live events to help prepare them for what is to come. However, as for regularly featuring them on pay-per-view (or even TV for that matter), the company has to be careful. One of the reasons the NXT "special events" are so good is because of the atmosphere at Full Sail University. The venue is intimate and the crowd is familiar with the workers. Because NXT is seen by far fewer people, most casual fans don&apos;t know who the workers are (something that has improved with the evolution of the WWE Network). The transition from NXT to the main roster is dramatic and as we saw with Paige struggling out of the gate and several others having a hard time rekindling developmental magic, success is far from automatic. The worst thing WWE could do is deliver a cold match featuring their star-studded prospects. Burying a future Bray Wyatt or Seth Rollins at the beginning of a pay-per-view card could do more harm than good. I actually like the way things are currently setup and think everyone -- from the workers to the company -- is benefitting. WWE has a bad habit of avoiding moderation so it&apos;s actually nice to see them observing it with their NXT performers. It will be important for WWE to remember this moderation as NXT continues to develop as its own brand. November 2012: Do you think we will ever see Undertaker’s streak at Wrestlemania end? If so do you think it would be John Cena because he’s “the guy”. Kind of like a passing of the torch? - This is a topic for discussion that has been ongoing for the last couple of years. I can’t really say “yes” or “no” because it all depends on the situation, Undertaker’s compliance and the right opponent. I feel Undertaker has more than earned the right to retire at Wrestlemania although there is no doubting it would be a huge boost to the career of anyone that ended it. The sticking point for me is who is there on the WWE roster capable of such a feat? I’ve seen the arguments [for people like Sheamus or Dolph Ziggler] and I’m not convinced. You mentioned John Cena but what does “ending the streak” do for someone that’s already the guy?